These sweet little sets are so classic! 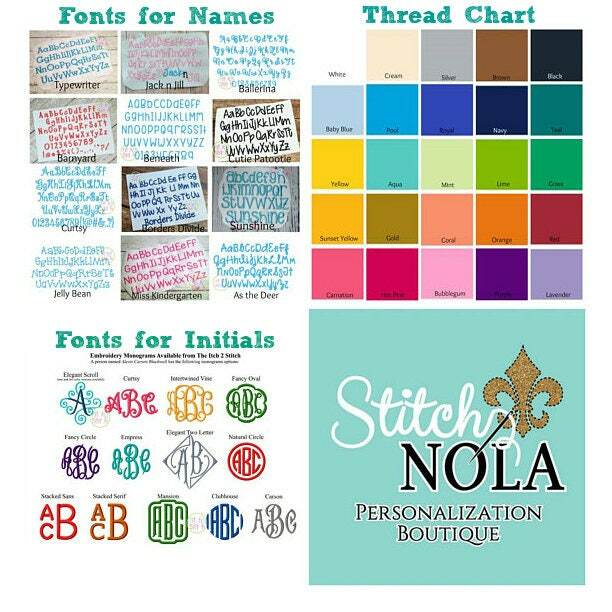 They are perfect with just a simple name or monogram or you can convo me if you prefer an applique. Prices listed include NAME or MONOGRAM! Appliques are an additional charge and price depends on the design selected. *** In notes to seller, please leave child's FULL NAME so initials can be arranged in the correct monogramming order. 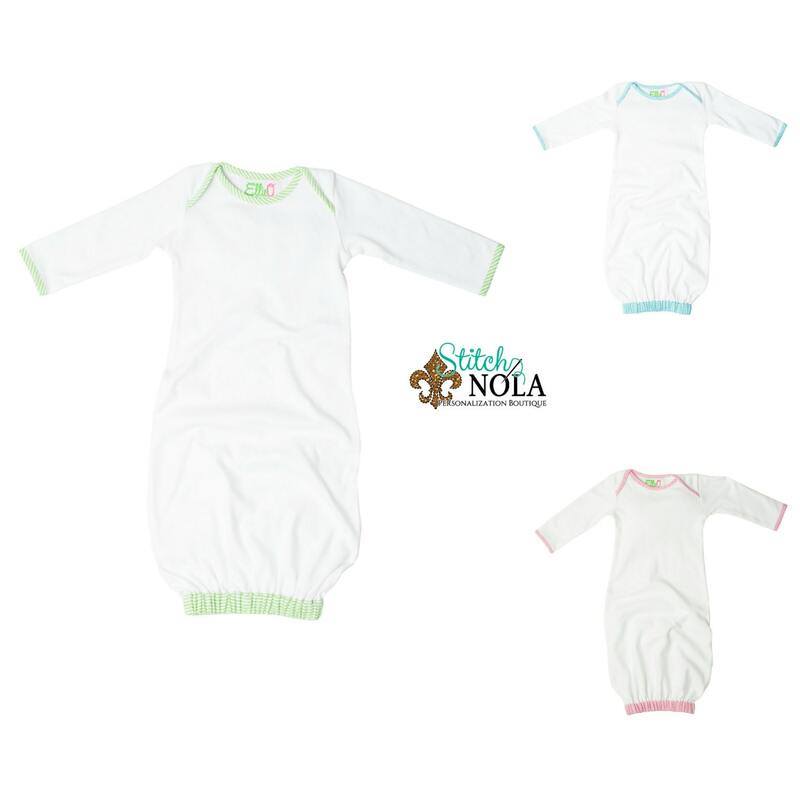 Classic Seersucker Infant Gown features a soft seersucker trim accent in soft, comfy 100% Knit Jersey Cotton. 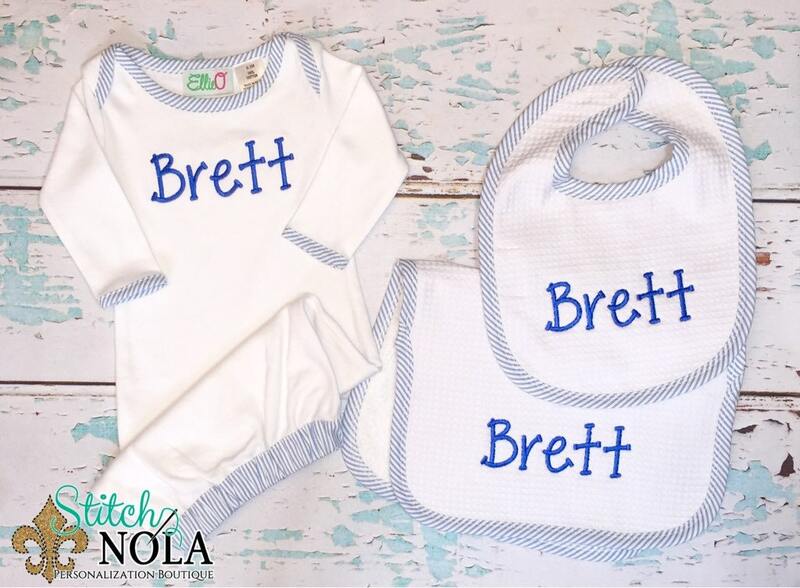 Perfect for that first trip home, newborn photos or dress them up for a class "Sip n' See." 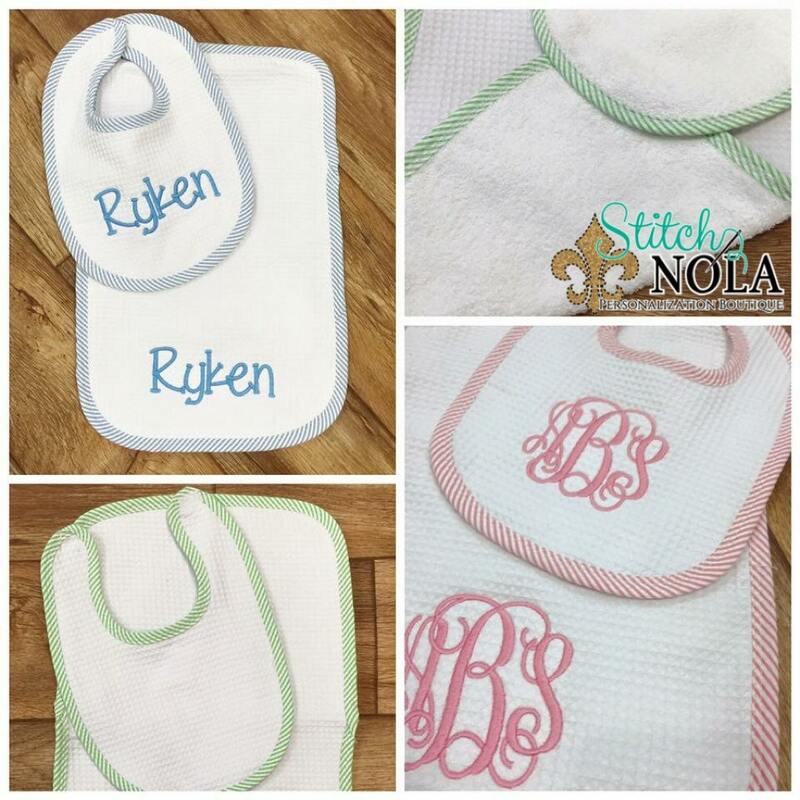 Our Seersucker Bib and Burp Cloth sets are sure to please. 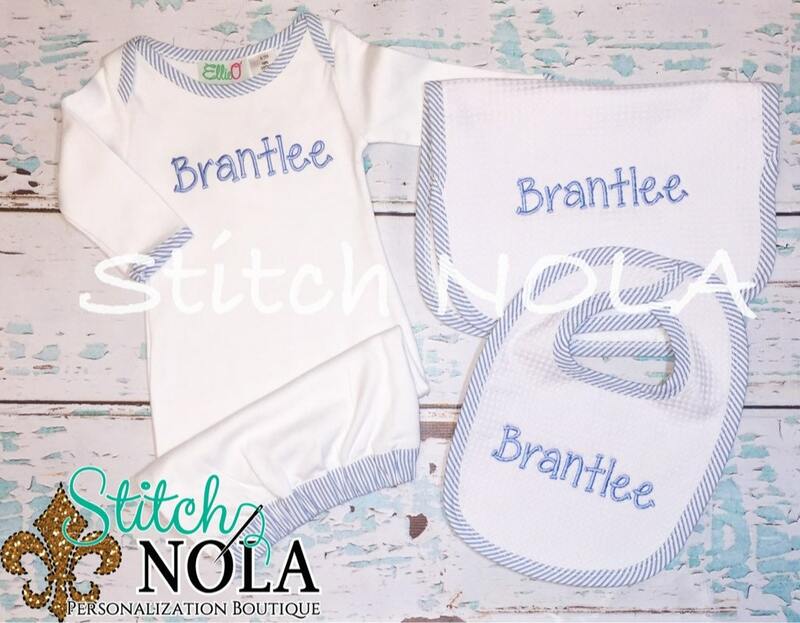 Made with a very soft, luxurious terry cloth back and detailed waffle cone fabric front, they make the perfect newborn set, baby shower gift or everyday classic to add to the baby's collection.